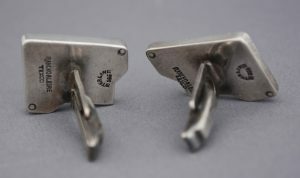 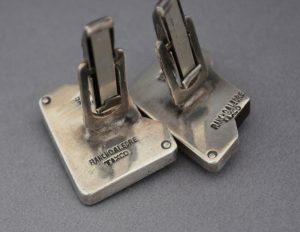 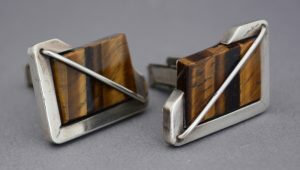 Sterling cuff links by Rancho Alegre Taxco. 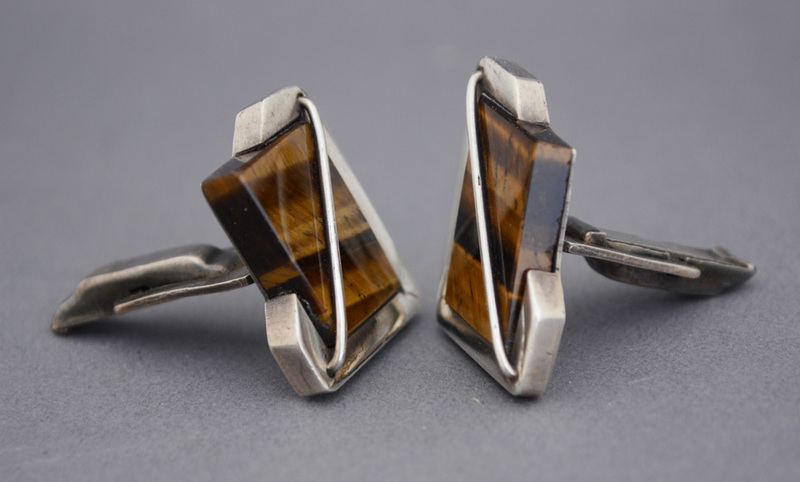 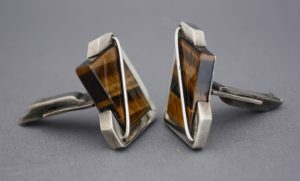 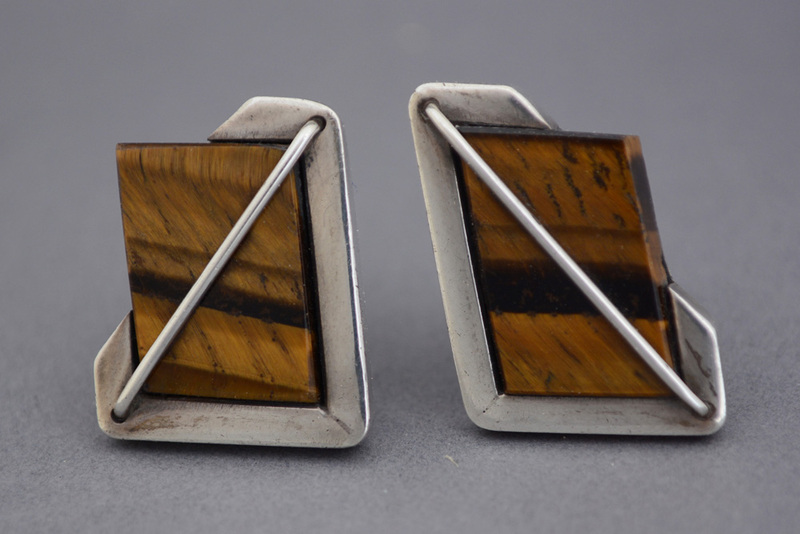 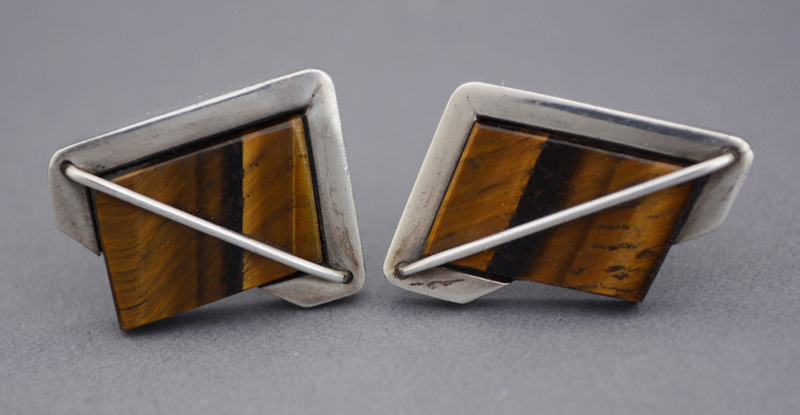 These have tiger eye set in sterling with a sterling wire holding the stone in place. Very good condition.